When it comes to outdoor spaces, nothing can beat the beauty of greenery. Trees are an inevitable part of it, and except for watering them on a regular basis, taking overall proper care is another important thing you should have in mind. This can be achieved by relying on the services of a professional tree company as experts know what is best for your tree/s and how to treat them especially in case of a pest disease. 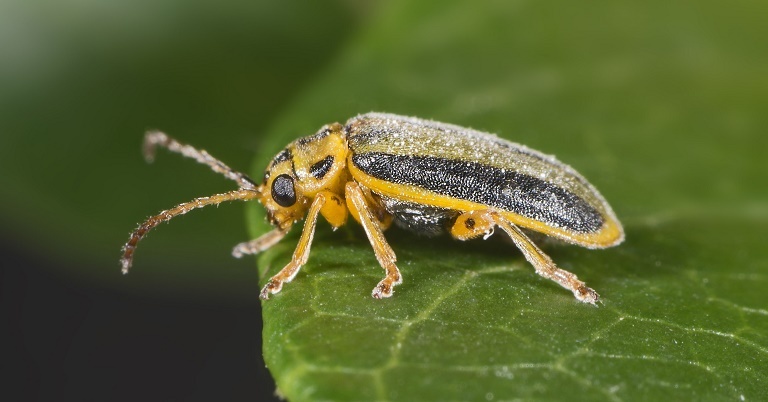 When speaking about pests, if you have elm trees in your garden, you need to know about their greatest archenemies – beetles. Beetles are insects that feed on elm leaves. They are about 4-6mm long and have an olive/brown colour with two stripes on the back, and even though that small, they can completely destroy an elm tree in just one season. The saddest thing is that these little but dangerous tree insects attack elm trees in spring, when the tree comes into leaf, leaving them completely destroyed and weak. The adult beetles emerge from their winter hibernation and immediately start attacking the tree by feeding on its leaves in the canopy of the tree. Usually, they survive winter hiding in bark crevices, woodpiles or in buildings, and when winter comes, they fly to eat elm leaves and lay their eggs after which they hatch into larvae. Larvae also feed on the green tissue of leaves after which they crawl down the trunk and pupate in bark cracks or around the tree base. Shot holes in the leaves, skeletonisation of the leaves, and discolouration are just some of the main signs that your elm tree has been attacked by beetles. In order not to experience something like this, it is better to prevent it than to cure it by using the services of a professional tree company that can provide you with the right elm tree beetle treatment. One of the main things included in an elm tree beetle treatment is trunk injection as it is the most effective and environmental-friendly option. It is done by injecting insecticide directly into the tree’s trunk as this is the fastest way for the tree to spread the chemicals to the leaves and kill the beetles. The moment you see dead beetles on paved areas you can be sure that the treatment has been effective. The most important thing about these special treatments is that they are completely safe for both people and animals. Soil injection is another part of the treatment. As the name implies, this treatment consists of injecting the soil under the tree’s drip line and this must be done on a moist soil. Unlike the trunk injection that goes directly to the roots, the soil one travels from the roots to the tree’s vascular system to the shoots and after that to the leaves. Consequently, it will take more time for the chemicals to get to beetles and kill them, but the most important thing to know is that soil injection can be dangerous for human health and invertebrates. Canopy spraying is also an option but it is mainly performed on younger trees around the end of October. 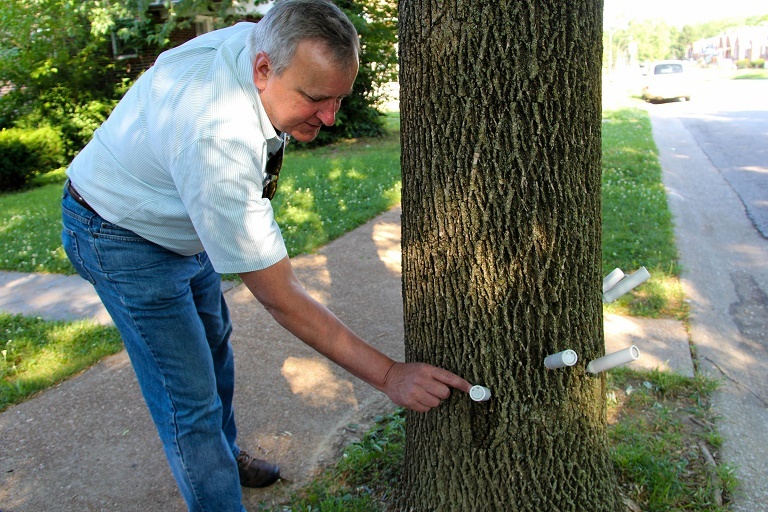 These sprays need to be applied annually and are not beneficial for older trees due to their size. Last but not least, the non-chemical banding treatment can be applied somewhere between December and early February and is used to trap larvae that can be found down the trunk. Usually, the experts will apply adhesive tape that can be wrapped around the trunk in order to break the beetle’s life cycle. The downside of this treatment is that it needs to be reapplied each season especially if the tree is dealing with too many beetles. Although environment-friendly, this treatment cannot show the same level of effectiveness as the aforementioned ones.